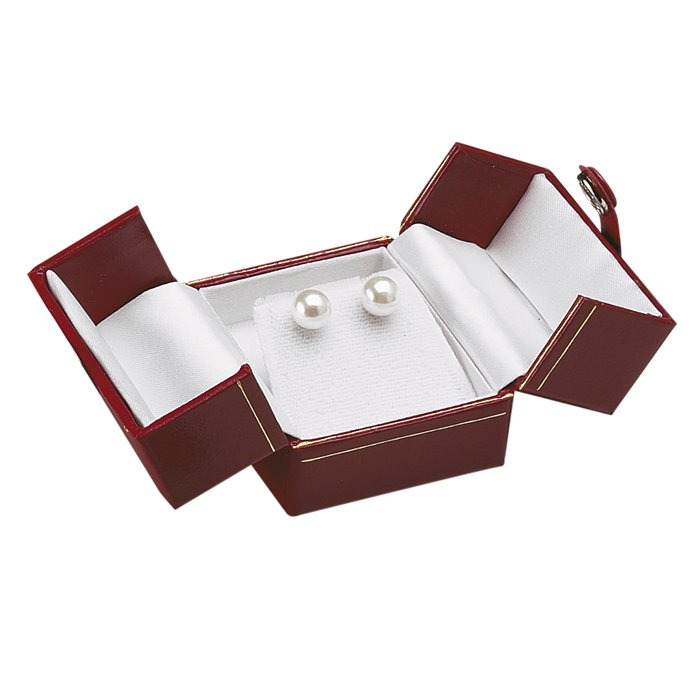 Features leatherette finished boxes, gold trim, snap-tab closure and velvet inserts. Red Deluxe Snap-Tab Ring Box. Features leatherette finish, gold trim, snap-tab closure and velvet inserts. Black Deluxe Snap-Tab Ring Box. Features leatherette finish, gold trim, snap-tab closure and velvet inserts. 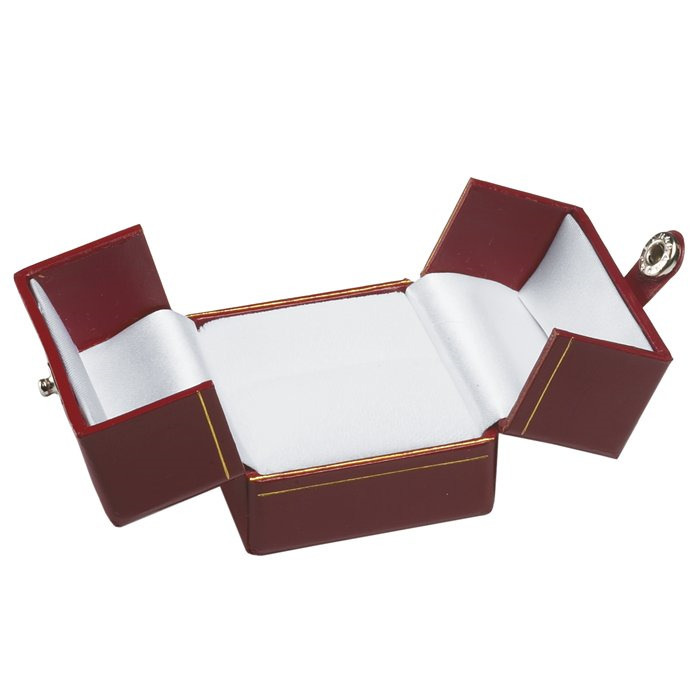 Red Deluxe Snap-Tab Leatherette Earring Box. Features leatherette finish, gold trim, snap-tab closure and velvet inserts. 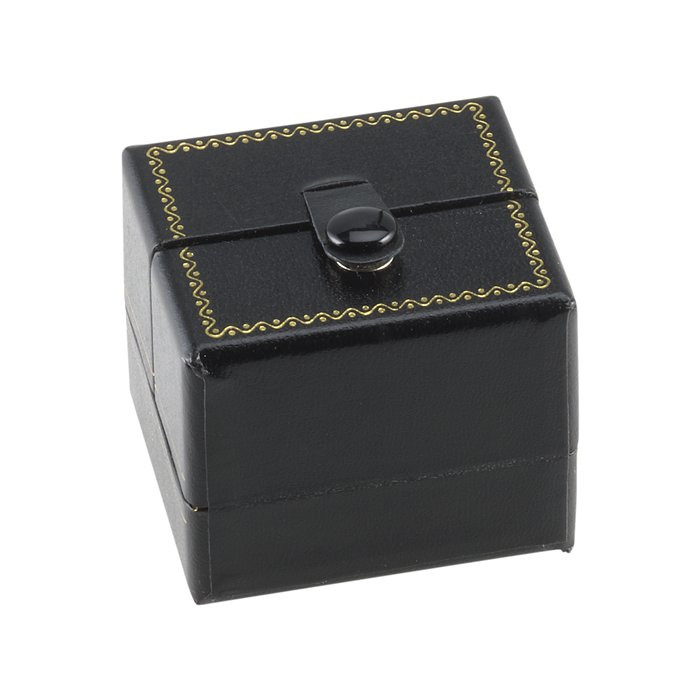 Black Deluxe Snap-Tab Leatherette Earring Box. Features leatherette finish, gold trim, snap-tab closure and velvet inserts. 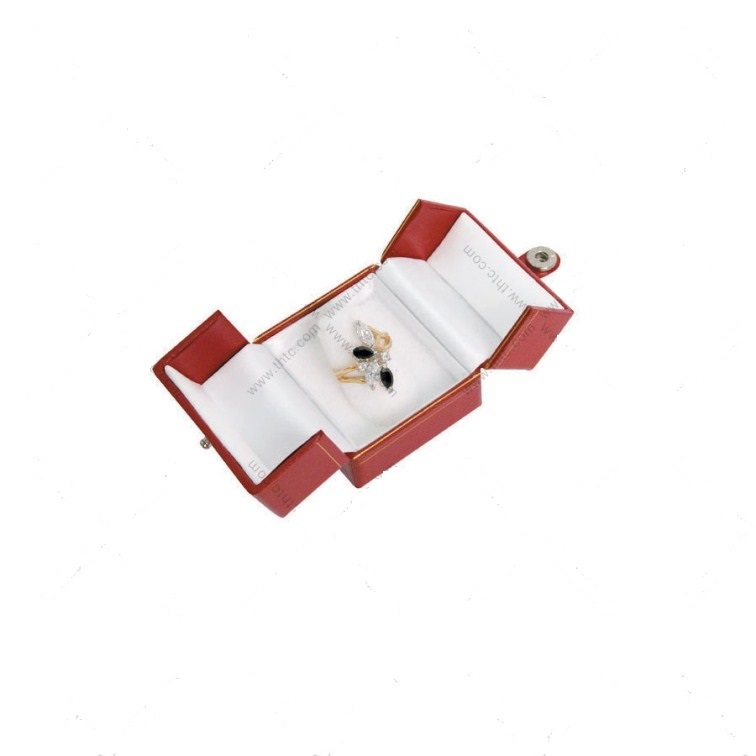 Red Deluxe Snap-Tag Necklace Box. Features leatherette finish, gold trim, snap-tab closure and velvet inserts. Black Deluxe Snap-Tag Necklace Box. Features leatherette finish, gold trim, snap-tab closure and velvet inserts.